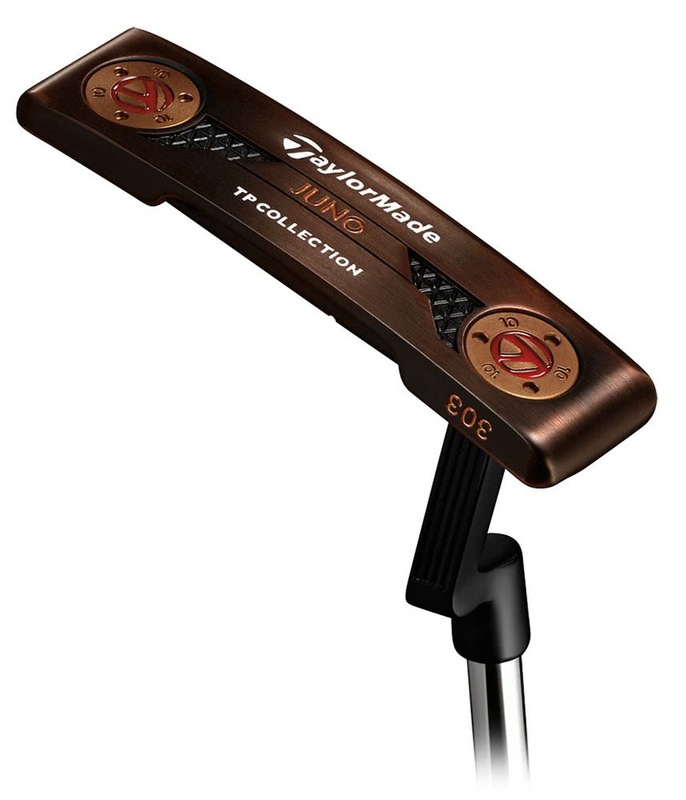 The TaylorMade TP Black Copper Collection Juno Putter has been created using a classic heel-toe bladed design. Each of the four models in the TP Black Copper Collection have been hand-polished to reveal a stunning finish that will inspire confidence at address. 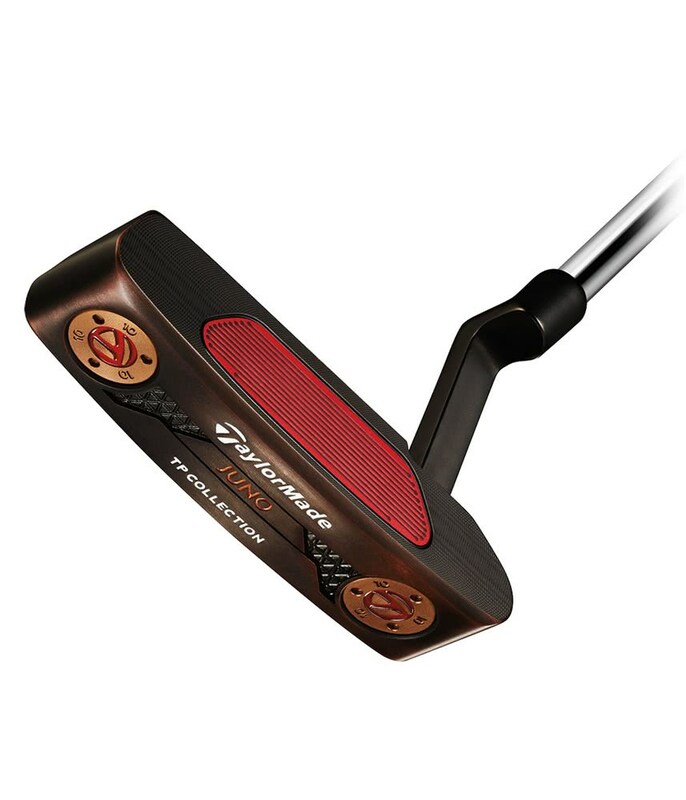 A single sightline in the cavity of the Juno Putter stands out against the Black Copper finish and provides the perfect alignment. 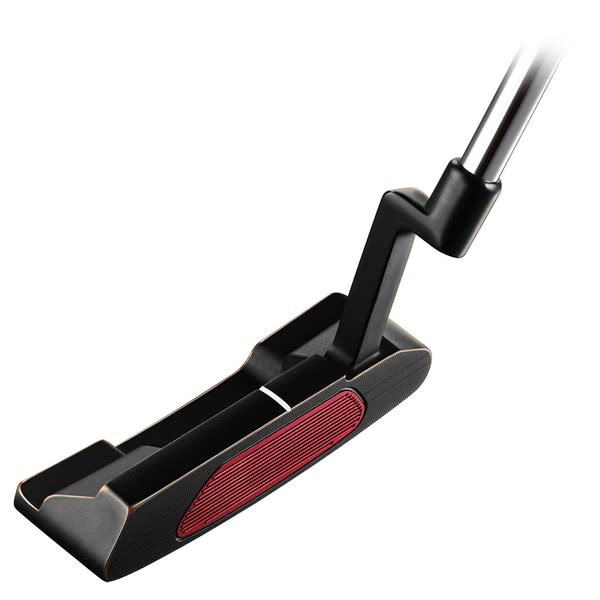 The TaylorMade TP putter range has been milled from a 303 stainless steel and a 6061 aluminum Pure Roll face insert. 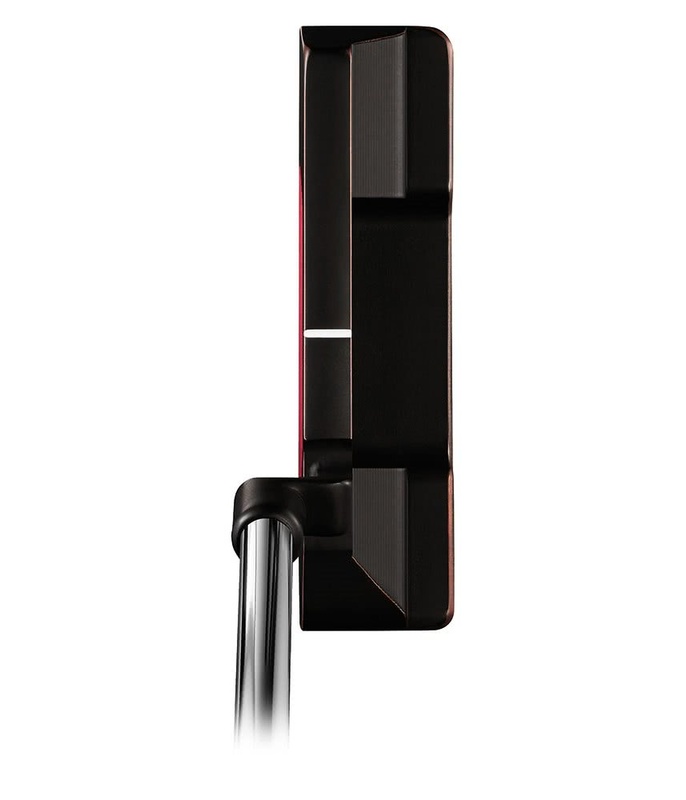 TaylorMade have used their Pure Roll face insert technology to reduce the skip and improve the roll through impact to provide a more consistent feel and distance control. A slight toe hang of 35° will help you to square up the clubface at impact. 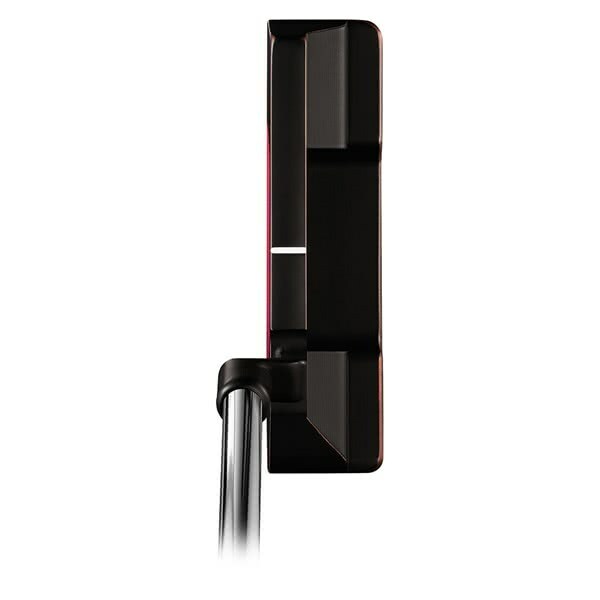 An adjustable sole weight design has been used to help you achieve the best swing-weight for your putting stroke. 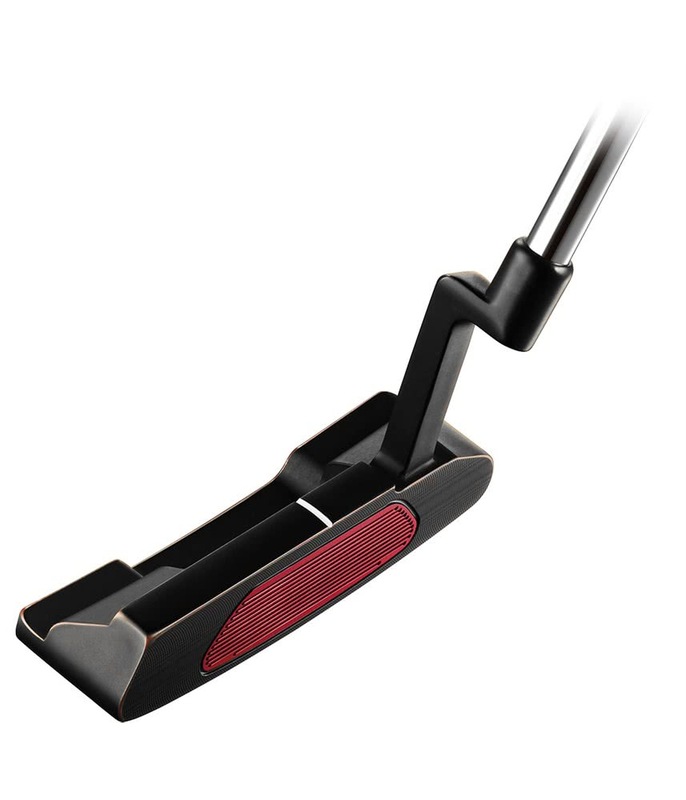 By having the weights on the heel and toe it also provides the head with more stability throughout your stroke. 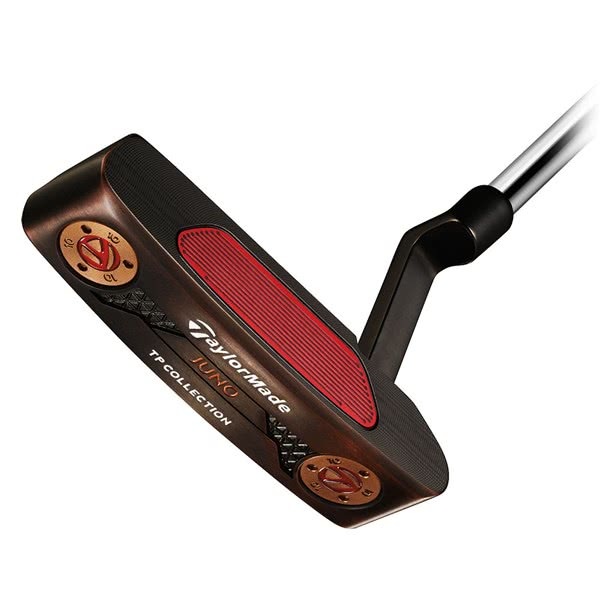 To provide that premium feel in your hands TaylorMade have fitted a tacky Lamkin branded putter grip.